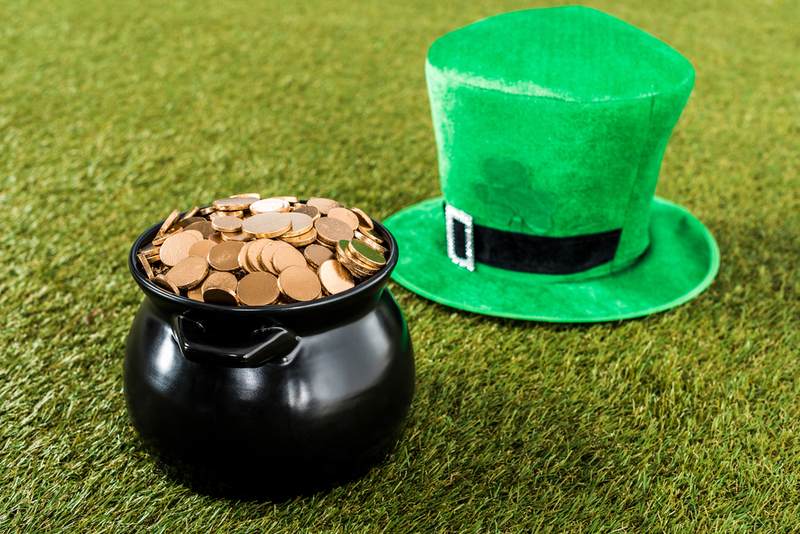 Saint Patrick’s Day comes and goes every March 17th with millions of people celebrating by parading around in green clothing, sporting leprechaun hats, and four-leaf clovers. The pubs and bars are full of those partaking of the festivities and live, cultural musical celebrations. Does anyone really know what it all represents? Saint Patrick himself dates back to the fourth century where the Saint was born into a Roman British family. Irish marauders invaded his home when he was just 16 years old and he was forced into slavery back in Ireland. During this time he had six years to think about who he was and what he believed. He decided to find God and follow in the footsteps of his grandfather and father who were both priests in the Christian church of the time. It is recorded that the Lord spoke to Patrick and helped him escape by boat to return home. Once safely home he also became a priest and decided to return to Ireland and convert the Irish Pagan people to Christianity. His name goes down in history as a Priest who brought thousands to Christianity and spent his life in the service of the Irish people, freeing them from the oppressive Pagan religious leadership that was imposed on their lives. Saint Patrick’s death, March 17th, 461 AD, continues to represent a spectacular celebration in his honor. It is a public holiday in Ireland and a few provinces of Canada. However, it is the most widely celebrated holiday outside of its country of origin by all of those who have immigrated to foreign lands and taken the traditional with them. Local St. Patrick’s Day Festivities are booming this year in big cities around Texas. Here are two events that are focused on family entertainment and have long-standing traditions with plenty of Gaelic heritage to go around. Family friendly at it’s finest this Irish festival is hosted by the Celtic Cultural Center and is a traditional way of participating in St. Patrick’s Day events. There will be a wide array of musical performances from traditional Irish dancers to authentic Irish music. With something for everyone, this party will be one you don’t want to miss. Food, games, displays, educational booths and so much more. Check out the official website for directions and details, http://www.stpatricksdayaustin.com/. The 59th Annual St. Patrick’s Day Parade rolls downtown Houston this Saturday! Don’t miss this chance to gear up in your green and join the Irish celebration! Starting at the clocktower at Minute Maid Park, the parade will move westward through downtown. Lucky’s Pub is hosting an after party for the adults. For details and information check out this link http://hsppc.org/parade-info/. Partying on the River Walk has never been better! This St. Patrick’s Day Parade features delightfully decorated floats that actually float along the famous San Antonio Riverwalk. A free event that everyone will truly enjoy, it features live music, Irish food, and entertainment for the whole family. Information about this parade can be found at https://www.thesanantonioriverwalk.com/events/st.-patricks-day-river-parade.